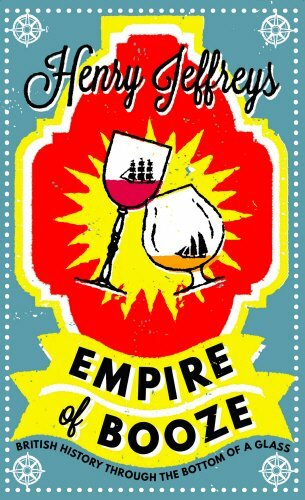 My book Empire Of Booze: British History through the Bottom of a Glass came out on 3rd November 2016. You can order a copy by clicking on the jacket on the right. I’m going to keep readers updated with events and publicity on this page. Empire of Booze won Best Debut Drinks Book at Fortnum & Mason Awards. Top MP Keith Simpson calls it “informative but amusing.” Thanks Keith! And: “…it’s an ambitious undertaking, but he achieves it with a sharp eye and an understated humorous touch I rather liked”. Review in the Glasgow Herald. Thinks books is going to be a great success which is nice. I made my parents very proud by making the front cover of the Bucks Examiner. You can listen to me on the Food Programme on Radio 4 talking about Sir Kenelm Digby, cider and the Royal Society. I was on Monocle radio talking about English Sparkling Wine at 22 mins 30 secs. I wrote a booze book round-up in the Guardian. They didn’t let me recommend my own book (bastards!) but there is a mention at the end. Long article in the Guardian Review on how alcohol works in fiction. An article on British wines families the Bartons, the Symingtons and the Blandys in the Wine Society newsletter. A little mention in the Drinks Business. A feature in the Oldie on whether Jesus drank wine or not. You can read it here. Or if you can’t be bothered to read, I’ll give you the short answer, yes, yes he did. Article in Spectator on Champagne’s best customers, the British. I was interviewed by William Sitwell on Soho Radio on Tuesday 31 October from 9.30am. You can listen to the the whole show here.